I recently came across the beautiful work of architect Jeff Dungan. His architectural creations are nothing short of magical. 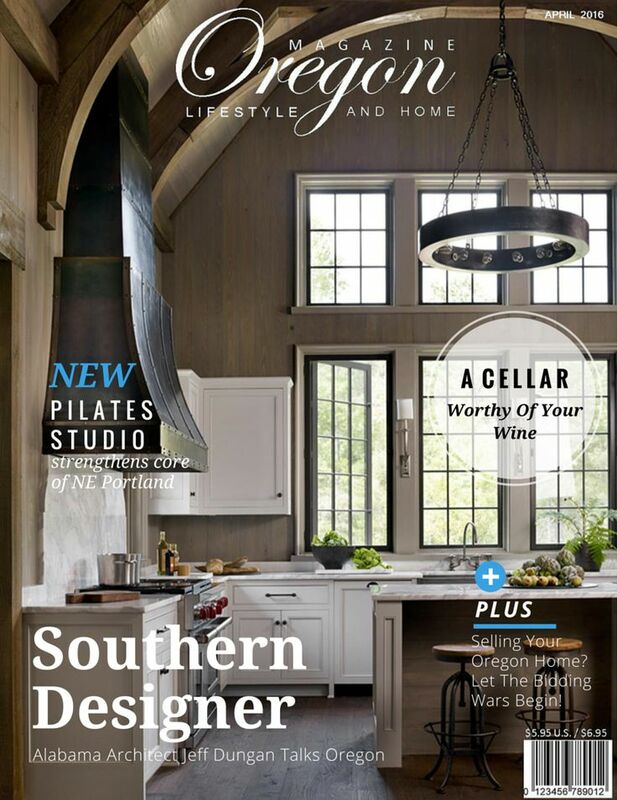 In a recent interview, Jeff shared with me how his wondrous love for Oregon’s nature and natural materials inspired his Southern designs. Q: I understand you came to Portland a few years ago and fell in love with our great city. Can you elaborate on how your experience in Portland, Oregon inspired and influenced you? A: Well, I had heard lots about Oregon in general and Portland specifically, but once I got there I really experienced what all the fuss was about in person and it did have a huge impact on how I saw the world afterwards. I would say the things that stuck with me was how the mountains and hills and deep valleys, along with the river, are wild, and then inside of that is this almost European place where people walk and ride bikes way more than depending on automobiles. The other thing I really was influenced by was the old and the new architecture. In my practice, I have taken older architecture from the last two centuries and modernized it, sandblasting off all the parts I felt were unnecessary or decorative to have something that looks familiar and new. What I found in Portland was old and new architecture standing side-by-side almost in a before-and-after-time-lapse-photography on steroids kind of way. Q: What elements of Portland did you find the most awe inspiring in relation to home design? A: Well, I have always loved stone as a material and old architecture. In the Portland homes built in the 1800s, I was shocked to find some amazing architecture in the older neighborhoods with wonderful detailing and roof lines. In the more commercial areas I found thoughtful clean architecture more modern in designs with a comfortable feeling, not coerced or forced. The very ironic part of this story is that I was working on a house in Texas when I came to Portland and it effected the design I was doing on something a thousand miles away. Q: When did you discover your love for sketching homes? A: I first felt the desire to draw as a really young boy. I grew up on a small 100 acre farm in rural Alabama and there was not a lot of entertainment outside of what you could find to do with your hands. I really enjoyed it and expanded to drawing nature scenes and then to watercolor painting and oil painting. Later, all that led to architecture – but I still feel more akin to artists than to architects for some reason. Q: What is your personal philosophy for you artistic craft? A: Well, there is a lot of different answers to that question – but at the very heart of it, when you peel back everything there is just a couple things that matter in my mind. It is all about people. It’s not about me (although as my daughter said once she wished it was), it’s about OTHER people. And, as a work of art, what’s important is that the work is very good and that you challenge yourself to always evaluate your work in a fairly critical way – that you don’t fall in love with it just because you did it. I love working with people in my studio to create what we make together – so many people touch it and give their best to it. And in the end it can inspire everyone, even people you never met. That is when it belongs to all of us – and elevates us all a little tiny bit. If it does all that, I think it’s wonderful and it was worth all the effort. Q: What areas of the country do you work with clients? A: I love to travel, and mostly because I want to be a lifelong learner. Travel is the best education you can get if you pay attention. I find, like I did in Portland, that I learned things which influenced my design work even on projects far away from Oregon. We are very fortunate to work in places like Maine, Chicago, Houston, Philadelphia, Napa, and of course, in the Southeast. What is also exciting is working in places of different cultures like Costa Rica, Ireland, Canada and the Bahamas. In all these places, I have learned about different vernacular styles and building traditions. It has changed how I think and work and for that I am very thankful. Q: Oregonians love their wine country, have you designed any vineyard homes or commercial wineries? A: Not (yet) but hope springs eternal as they say. I love the wine country and did tours of wineries on the Portland trip, and also wineries in Napa. The process is fascinating and at the same time very simple. I love things that are complicated and simple at the same time. Q: What books or publications have featured your work? A: Well, we have been in The Wall Street Journal, Luxe, Southern Living, Southern Accents, Southern Home, as well as Garden and Gun, House Beautiful and about five books including: 50 US Architects, Tracery, 30-a Style, as well as an upcoming book of our own to be published in New York within the next year. Q: Describe the client experience when working with your firm? A: We love working with our clients and always inject a little fun into the process. Building a custom house is a wonderful and rare gift most people don’t get to do, so it should be approached with a sense of joy. It’s also always a lot about dreams and finding ways to fulfill those dreams by creating architecture. Q: If you could only pick one thing you admire most about Portland and it’s surrounding areas, what would that be?